toytrekker has no other items for sale. 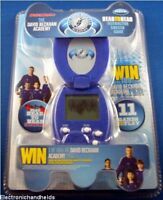 Radica Sports 20Q Read Your Mind Trivia Handheld Electronic Game BRAND NEW! Radica Cube World DODGER NEW! !